The system for home security that a homeowner chooses can give them a lot of peace of mind, but only if they choose a system they really can trust and feel good about. It’s important for any homeowner to be happy with the kind of equipment that system provides, as well. Among that equipment are the glass break sensors — and these eventually require maintenance that a homeowner will be asked to perform. That doesn’t mean that it’s difficult or time consuming, but it’s important for the homeowner to take care of their glass break sensors. In general, that means they’ll have to occasionally open the sensor to change the batteries — and not everyone knows how to do that correctly. Also, the make and model of the glass break sensor can make a difference, so it’s important for the homeowner to know which one they have and what they need to do in order to open it the right way. Most of them have a sliding door, much like a remote control or a smoke alarm, that opens to access the interior. But that’s not always the case, so every homeowner who’s considering opening a glass break sensor should examine it carefully first and decide the right way to open it without damage. Why Open a Glass Break Sensor? The biggest reason to open a glass break sensor is to replace the batteries inside of it. While these batteries can last a long time, they eventually do need to be replaced. At that time, the homeowner will want to make sure the batteries are replaced the right way. 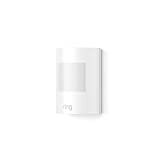 That reduces the risk of the sensor not working right, and having a non-working sensor could mean it doesn’t respond during a break in. A home security company is designed to be ready if there’s a break in, and the only way to ensure that is to keep it active and working right at all times — which includes maintaining the equipment. 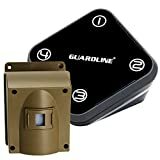 Every homeowner who’s committed to a good quality security system experience will want to open their glass break sensor periodically and replace the batteries when the system notifies them that it needs to be done. What Will a Homeowner Find on the Inside? With a home security system and its glass break sensors, a homeowner will have some options to explore. As they open the sensor, the first thing they should find is the battery compartment. Under the batteries there may be what’s commonly called a “tamper switch,” as well. This switch will need to be put back in the correct position for the sensor to work right, but that’s usually accomplished by putting the batteries back in correctly. There isn’t much else to look at on the inside of a glass break sensor, because all of the delicate components are protected and not accessible to the homeowner. Those are all important things to have in a security company, and when any company provides them for the homeowner it can really add to the peace of mind that person feels. It’s a good way to learn more about the company and the equipment and sensors offered, as well.